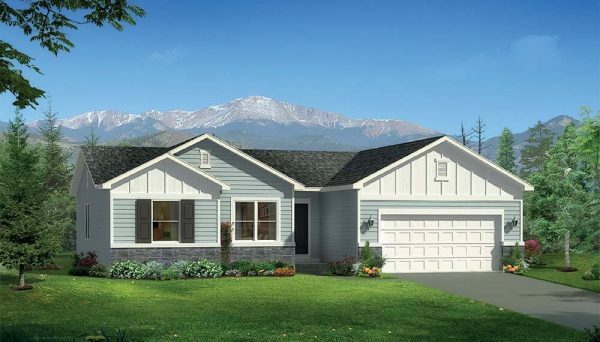 This open, vaulted Concord home plan is designed for complete one-level living. 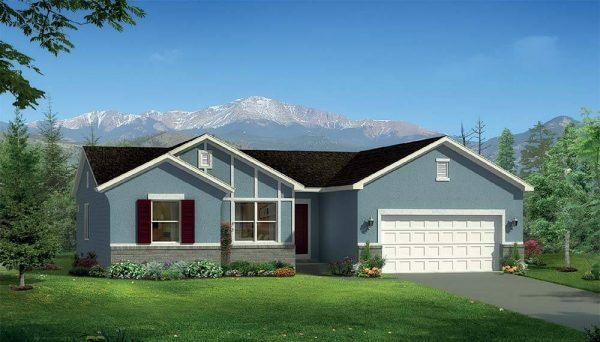 It is available with three bedrooms, two baths and a two or three car garage. 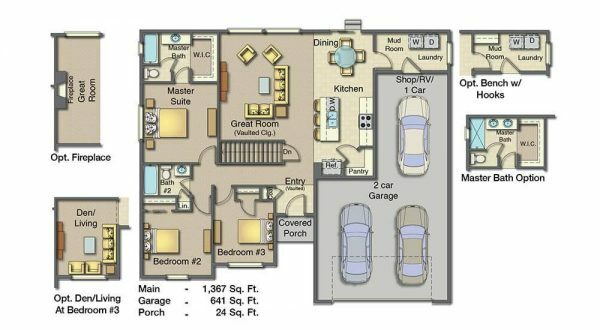 Enjoy the privacy of split bedrooms and if desired, exchange the third bedroom for a den or living room. Main Level – 1,367 Sq. Ft. 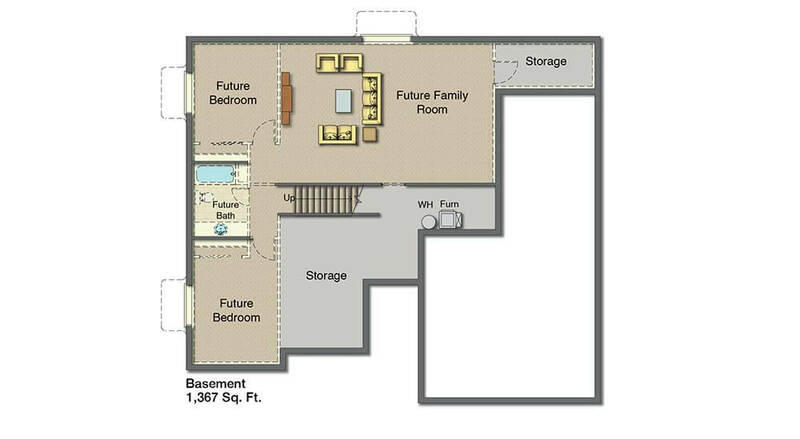 Basement – 1,367 Sq. Ft.